Make this cute, fun table runner — or make a set of placemats. It’s all up to you. 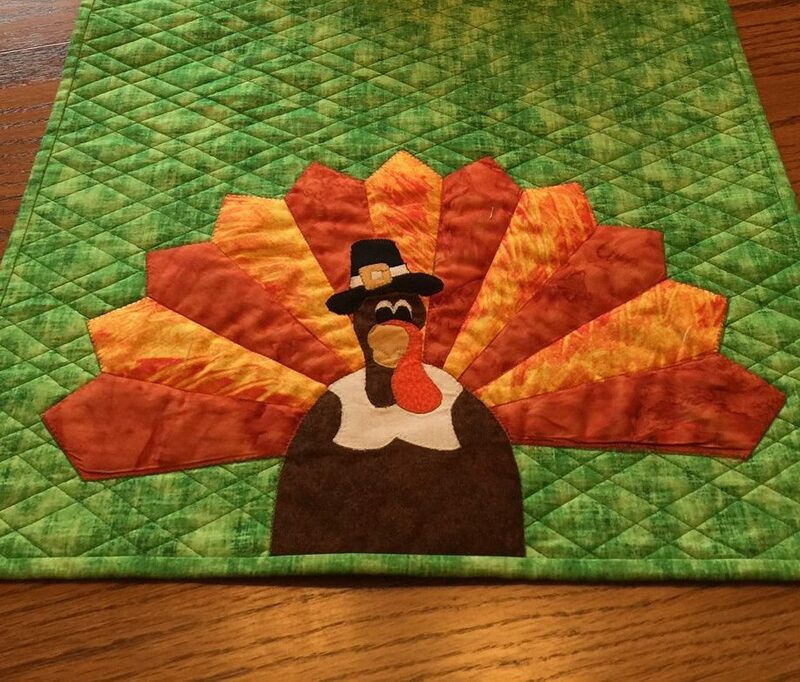 Use the 18 degree ruler and a prairie pointer to create your bright, colorful turkey feathers then use the applique pattern to create this not-so-fowl turkey! Fusible applique makes it quick and fun!